A musician and a national member of parliament join forces to stop growing drug abuse where more than 2 million tourists annually bring not only revenue to Cyprus, but drugs. 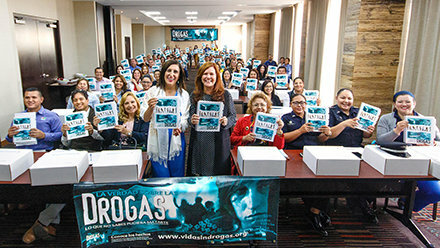 The Truth About Drugs curriculum is taught to 3,000 teachers across Mexico State, who put it to immediate use to give their students the tools to live drug free. Vaping is a popular alternative to smoking, but this doesn’t make it any less dangerous. The love of a childhood vacation spot leads to a partnership with the government to deliver the Truth About Drugs to all secondary schools of Baja California Sur. 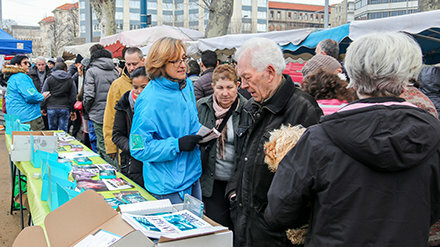 The Drug-Free World Clermont-Ferrand chapter is a dedicated team of volunteers who regularly pound the streets of their city providing citizens with the truth about drugs. 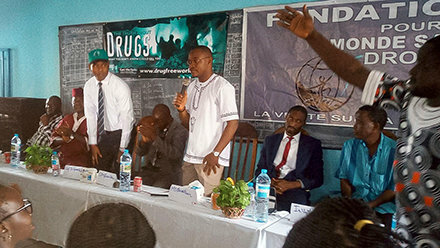 Sylla Faouly wanted to bring truth to Guinea and he found the tools with Drug-Free World. 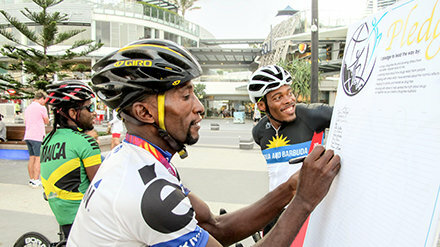 An accomplished electrical engineer and non-governmental organization consultant, Daniel Chukwudike’s own success was assured. He is happy after devoting his life to helping others. What makes heroin’s synthetic cousin, fentanyl, one of the deadliest drugs in the world? Before the end of 2018, the Colombian Air Force may be the first military force in the world with every soldier educated on the Truth About Drugs. When Jan Corbett reached retirement, she found her real passion—protecting youth from the devastation of drug and alcohol abuse. Darren Tessitore is determined that every child in the US will get the Truth About Drugs, and he isn’t messing around.